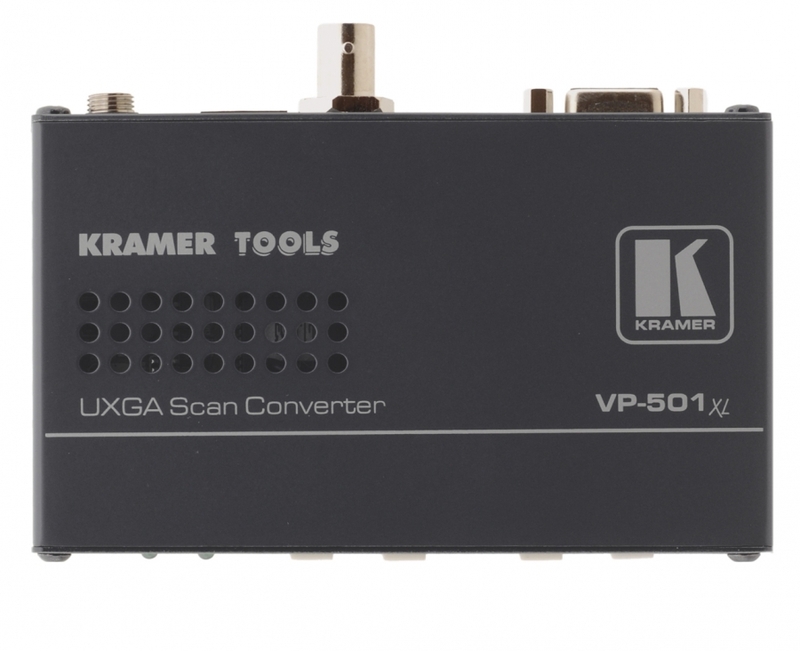 Scan-converter van VGA/SVGA/XGA/UXGA naar composite en S-video. -Input Compatibility - Up to 1600 X 1200. -Auto Set Up Technology - One button auto setup that automatically sizes, shifts, and centers any input image on the display device. -Proc-Amp - Color, hue, sharpness, contrast, and brightness controls. -Over Scan or Under Scan (selectable) with LED Indicator. -Freeze Frame with LED Indicator.